My neighbor asked me to make a cake for her son who happens to like the Steelers alot. So after a little internet research, not being a big football fan myself, I made this old school butter cream cake. 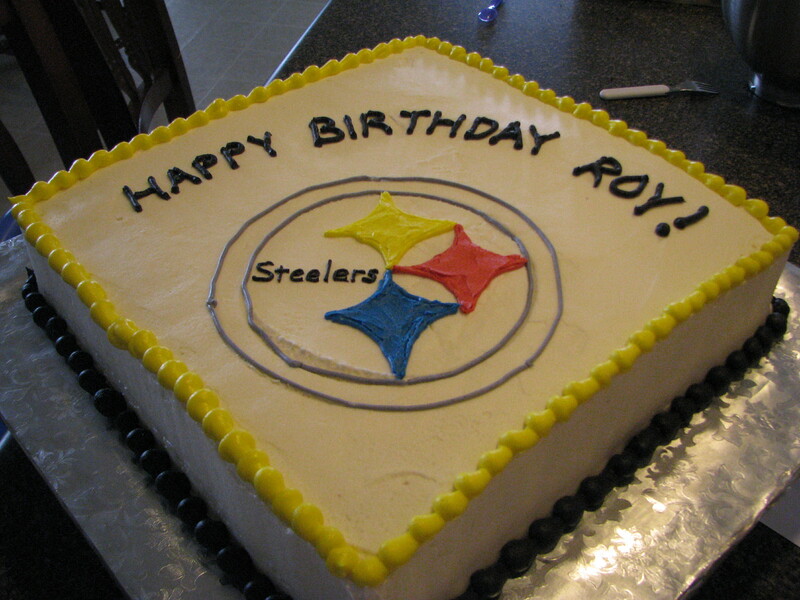 My moment of relief was when Dave came home and seeing the cake (before I had written “Steelers” on it) said Hey Steelers!